When it comes to writing and founding a blog, there are so many challenges we face as bloggers. Below, nine other Creators and Founders, at different stages, share their biggest challenge blogging. Even people blogging for years, still face blog challenges in 2019. You may find yourself wanting to start a blog in 2019. Or maybe you have already started a blog and can totally relate to these. As these responses were coming in, it took me back through my personal journey. 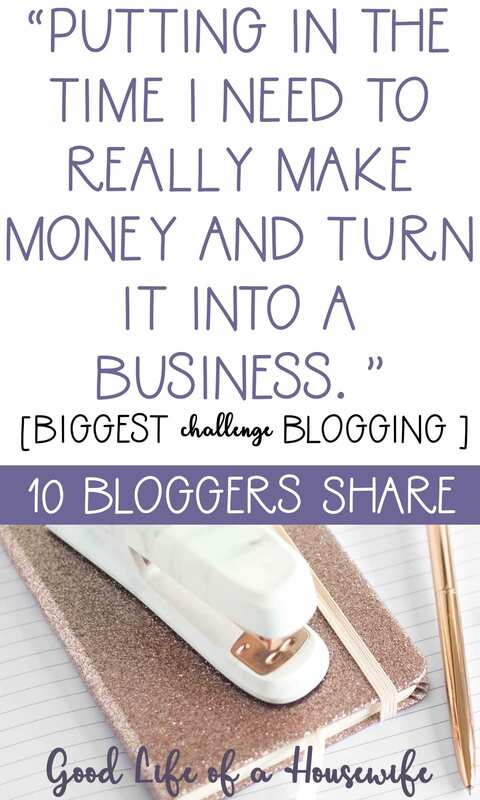 After blogging for three years, and just starting to become profitable after year two, I had my fair share of blogging challenges. Whether it was wanting to quit, mentally starting over, or finally getting 25K pageviews. There’s so much that goes into running a blog, it’s no wonder why most bloggers fail. I share my own 8 truths of mom blogging here. 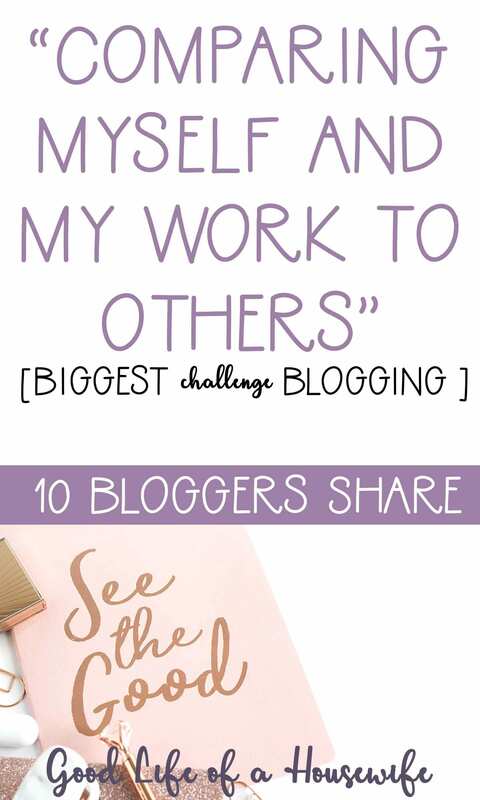 As you read the biggest challenges bloggers face from blogging, I am sure you can relate. I am excited and thankful for these nine bloggers (founders) to share their biggest struggles and how they overcome them. The only way I will truly fail at this is if I quit entirely. I have also told myself that I will continue to put one foot in front of the other and publish words that I truly feel helped me and could help others. I will give this blog serious effort for three years. If in three years I am still not making any progress, then it will be a legacy for my children. Also, I have given myself permission to take “time off” when I need it to reset. Which has helped immensely as the growth has been slow-going. My name is Olivia and I write the blog https://naturallymademom.com where I share about topics related to parenting and natural health. I am an ICU nurse by trade but passionate about sharing how alternative medicine, nutrition, and changing your mindset can improve your family’s physical and mental health. My name is Shawna and I’m a mom blogger who has been blogging for just over two years. 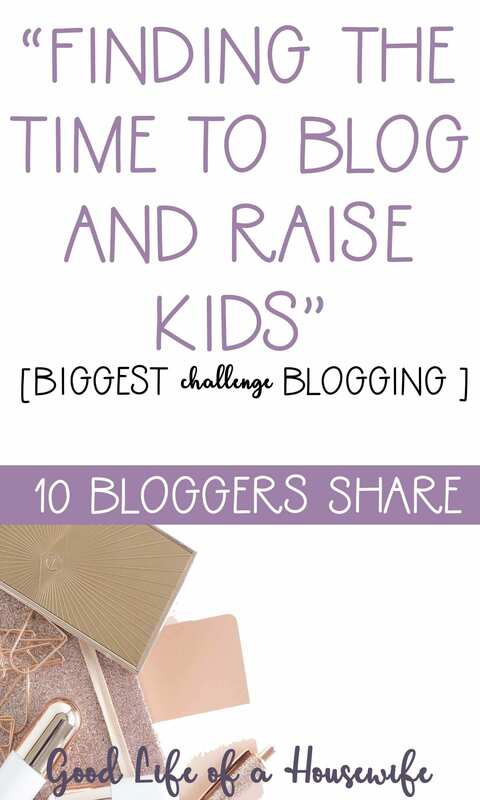 The biggest challenge I’ve come across is finding time to blog (and do all of the blogging tasks) while raising my kids. They are currently almost 3 years old and 6 years old. My older one started school this year, but the only way I’m able to get any work done while she’s at school is by letting my younger one watch a show. Which I only like to do sparingly, the TV is off most days, all day. My girls also do not like to sleep, so I can almost guarantee that one of them will be awake when I wake up. What saves me, and gives me time to work on my blog, is setting a bedtime for my girls of 7pm. This will give me a few hours to work without one of them needing my constant attention. However, I’m also pregnant, so I never stay up too late. Another thing I do is work in the little pockets of time during the day when my kids are eating or amazing me by playing nicely together. This may be anywhere from 5-20 minutes at a time,varying the number of times a day each day. I also take advantage of time saving productivity hacks that I’ve made sure to ingrain in my brain. Such as batching like tasks together, keeping only the tabs I need open on the computer for what I’m currently working on to cut out distractions, using scheduling systemslike tailwind, using spreadsheets and being very organized, and much more. I’m sure many mom bloggers can relate to the struggle of finding time to work while being the fulltime caregiver and home keeper, but maybe some of the tips above can help some of them. My blog is stresslessbehealthy.com and I blog about raising healthy kids, mom life (and all the stress that comes with it), and living a healthy lifestyle. I’m also part food blogger and love taking unhealthy recipes and turning them into healthy vegan recipes that parents will feel good about giving to their kids! My biggest blogging challenge is coming up with new content for my homeschooling blog. Sometimes I go through long periods of time with writer’s block. Missy Pea is a homeschool mom to three adopted kids and a blogger at www.inourpond.com. She writes about homeschooling ideas, offers lots of free learning printables, covers a bit about adoption and parenting, and gives ideas about how to organize your homeschool classroom with Altoid tins. 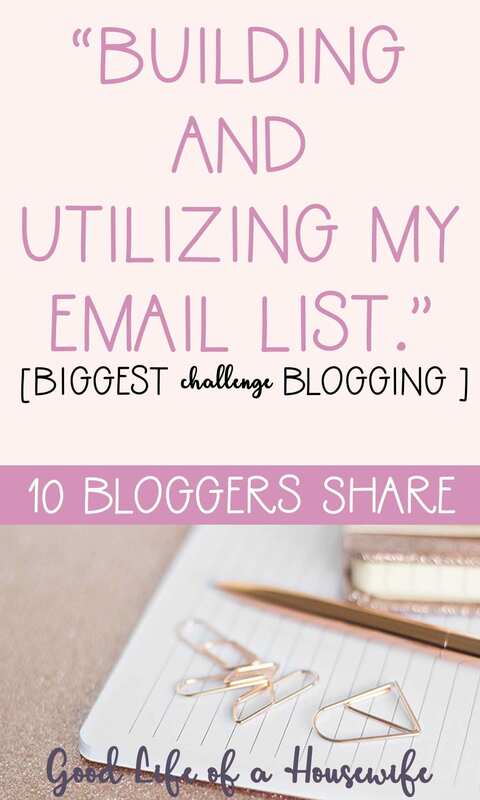 My biggest blogging challenge currently is building and utilizing my email list. It seems easy enough to collect some emails in exchange for a great freebie or resource library – but figuring out how to make your email list a part of your blog and connecting with your readers is something I desperately want and need to work on. Since the new year began, I have purchased a course on list building and have started to create a content calendar to help me come up with topics for my email subscribers– and not feel so stuck when it comes time to do it. 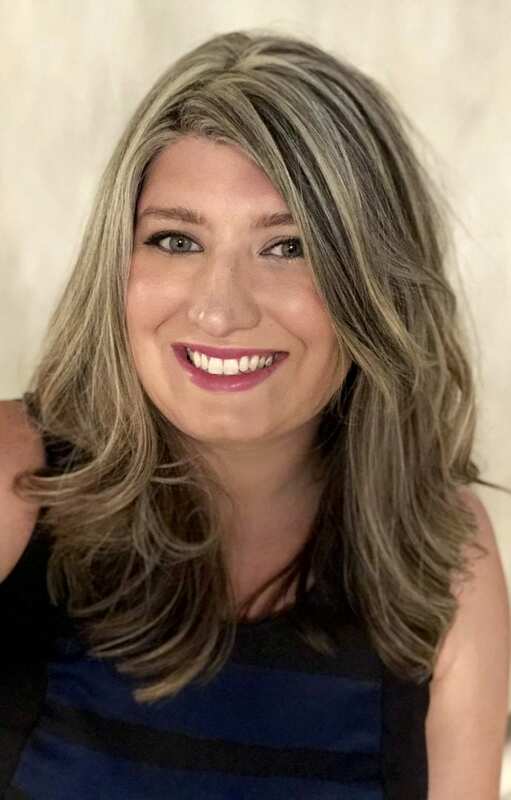 My name is Jen and I’m a nurse and blogger! I blog about pregnancy, baby, breastfeeding, fitness and more at https://mnmomma.com. Aside from balancing being a nurse and blogger, I have a wonderful husband, sweet toddler, and a new baby on the way. My biggest struggle with my blog is knowing if I am really helping others?If so, how can I help them more? Second, having so little time but a ton of ideas! The struggle is real! What I do and continue to work on, is creating landing pages and freebies. I add some surveys to help better serve my audience. My name is Kim and I blog at https://www.happymommytiredmommy.com I blog about time management and selfcare. I love blogging but Pinterest is my first love. I absolutely love everything about it. Putting in the amount of time I know I need to in order to really make money and turn it into a business. I’m a SAHM of a newborn and toddler and my days are packed. From trying to keep the house organized, feed and play with my kids, and spend time with my husband, there doesn’t seem to be enough time to fit in blogging. As of this new year, I am trying to use an organized schedule for the day to get things done. I don’t set my expectations too high. I have minimal tasks to complete for each day so I know I can accomplish them in the short amount of time that I have. I’m Marissa and my blog is Just Simply Mom (justsimplymom.com)- a motherhood lifestyle blog. I’ve been blogging for only 5 months and write about pregnancy, babies, toddlers, and marriage. I have really enjoyed working on my blog and can’t wait to see how it grows in the future. 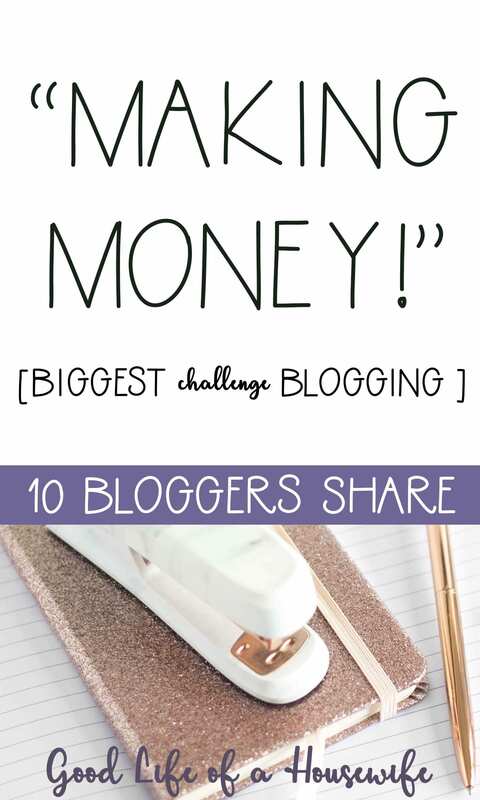 My biggest blogging challenge was making money! I loved sharing my heart on my blog for nearly four years, but I never made more than $50 in a month and I was worn out and done. I gave it one last shot last summer by launching a product that I knew was amazing and would serve the needs of my audience. It took off and now I consistently make thousands of dollars each month from my blog. I’ve been blogging for 4 years at PracticallyHippie.com. I’m currently rebranding to RootedChildhood.com to focus on inspiring others to nourish a child’s head, heart, and hands through simple moments at home. 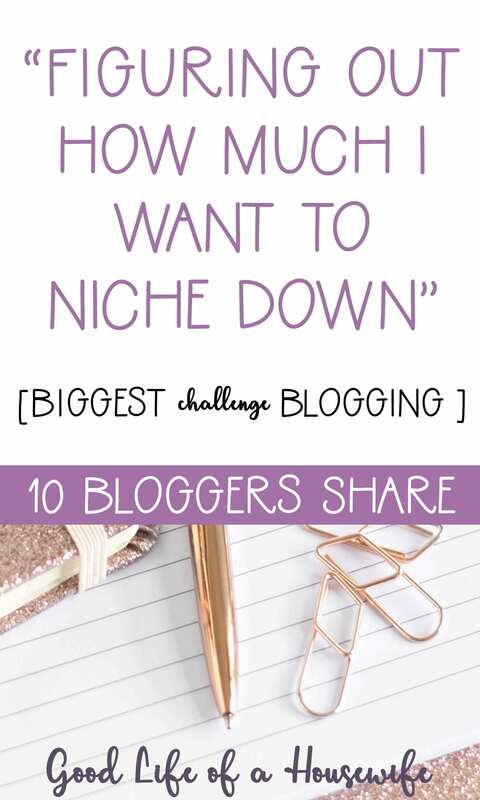 My biggest blogging challenge is figuring out how much I want to niche down. The advice is so predominantly to niche down as much as possible, but I’m not sure how natural that feels to me. Some people I think are naturally more “specialist,” but I am a big-time generalist in real-life. I’m currently trying to figure out how broad I can keep my blog and not confuse people or how much I can niche down and not get bored.? I blog at The Curious Frugal (https://thecuriousfrugal.com), a frugal living lifestyle blog. I write about how to have a fabulous life without spending a lot of money. I share simple recipes (I used to own a catering business/bakery! ), frugal travel tips, parenting, and selfcare. 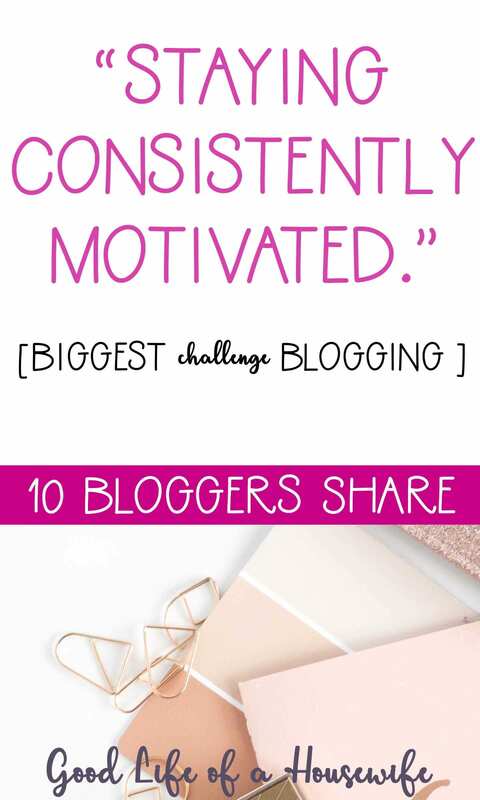 My biggest blogging challenge is staying consistently motivated. When I am motivated, I have no problem writing posts and putting in the late nights and early mornings to get everything done for my blog. I am highly motivated about 2-3 weeks of the month and then I just crash. I get writer’s block and have a hard time focusing on anything having to do with my blog. When this happens, I have a few different ways of approaching it. One way is to go into a course that I am taking and do one (or more) tasks that I know I need to get done. I always have at least one course I am working on. Giving myself something concrete and specific where I can see a definite task completed. It helps me to keep doing it. Another thing I do to motivate myself is read an income report of a couple blogger’s that I admire or watch a FB live of them talking about their blog. I tend to pick up their excitement and most of the time I can transfer this excitement into focusing on my blog again. You can find Jenny at www.SunnyHomeCreations.com where she shares about gardening, parenting, pregnancy/babies and cleaning. 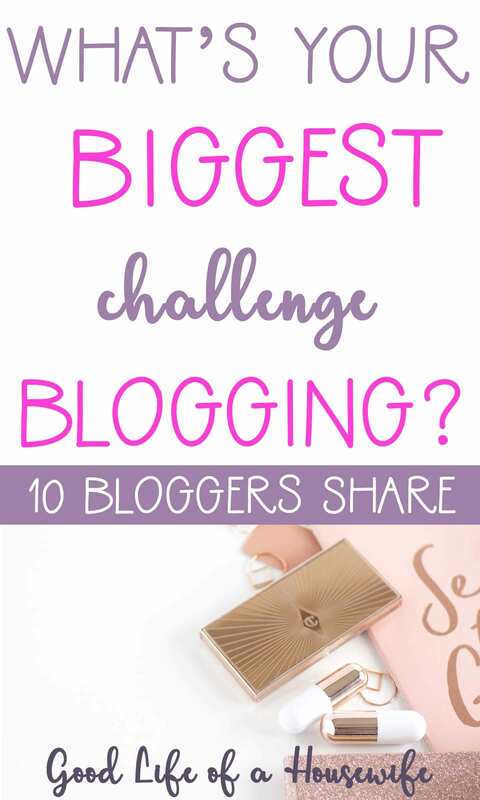 What is your biggest blogging challenge? We would love to hear it in the comments.